The Cuvée de Réserve goes from strength to strength and is now one of the most sought-after of our non-vintage Champagnes, no mean achievement for a Grower Champagne and indicative, perhaps, of the long overdue re-appraisal of the hierarchy in this region, where the hegemony of the Grandes Marques has held sway for so long. Free Specified Date & Standard UK Delivery 3 working days for orders over £200. The Wine Advocate - This NV Blanc de Blancs Grand Cru Brut Cuve de Rserve (disgorged in December 2017) is sourced from 67 different parcels of the Cte des Blancs (Mesnil, Oger, Avize and Cramant) and is composed of the vintages 2015 and 2014 (in equal parts) and 60% (!) of a rserve perptuelle that dates back to 1998. The wine is clear and pretty intense on the nose, displaying ripe and intense fruit aromas. Rich and quite powerful on the palate, this is an elegant, finessed and well-structured cuve with a good finish. Tasted in April 2018. 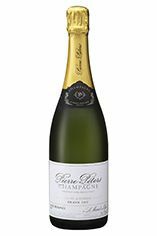 Decanter - Pierre Peters, Cuvée de Réserve shows a very seductive nose that promises full flavour and complexity with inviting brioche and buttery flavours. The palate reflects the nose and is balanced by the zesty acidity, the creaminess and the biscuity characters; a long and elegant finish. A great value Champagne. The loquacious and extremely likeable Rodolphe Péters of Champagne Pierre Péters is one of the most highly respected champagne growers in Le Mesnil-sur-Oger, where 12 of his 17 hectares are located. The style of Le Mesnil Champagnes, differing markedly from more gentle siblings from villages such as Cramant, focuses on mineral power and capacity to age. Péters is the master of this art; a full malolactic fermentation and moderately high fermentation temperatures serve to tame the steely acidity of the wines, but in no way diminishes their inherent power and potential to develop over the medium to long term. The non-vintage bottlings always incorporate a significant proportion- up to 40% - of reserve wine assembled over decades by saving back a portion of each year's blend and adding it to a solera. Chardonnay is the "Big Daddy" of white wine grapes and one of the most widely planted in the world. It is suited to a wide variety of soils, though it excels in soils with a high limestone content as found in Champagne, Chablis, and the Côte D`Or. Burgundy is Chardonnay's spiritual home and the best White Burgundies are dry, rich, honeyed wines with marvellous poise, elegance and balance. They are unquestionably the finest dry white wines in the world. Chardonnay plays a crucial role in the Champagne blend, providing structure and finesse, and is the sole grape in Blanc de Blancs. It is quantitatively important in California and Australia, is widely planted in Chile and South Africa, and is the second most widely planted grape in New Zealand. In warm climates Chardonnay has a tendency to develop very high sugar levels during the final stages of ripening and this can occur at the expense of acidity. Late picking is a common problem and can result in blowsy and flabby wines that lack structure and definition. Recently in the New World, we have seen a move towards more elegant, better- balanced and less oak-driven Chardonnays, and this is to be welcomed. In Champagne, the term Blanc de Blancs designates Champagnes made only from Chardonnay grapes. 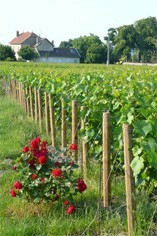 The vineyards located between Cramant and Mesnil-sur-Oger in Cote de Blancs yield the best examples of the style. A classic Blanc de Blancs is restrained and elegant when young, yet with ageing it develops a mouth-coating brioche richness that overlays an intense expression of fruitiness. Blanc de Blancs are endowed with longer ageing potential than a typical Blanc de Noirs. * "Specified Date" is not available in Northern Ireland, The Isle of Man, The Isle of Wight, The Isles of Scilly and some areas of Scotland. When selecting "Collection" at the check-out, please allow 3 working days for us to process your order from our central warehouses. We therefore highly recommend telephoning before you make your journey to check that your order is ready. Collection is available from our two shops in London & Basingstoke. Subject to a minimum order value of £200 excluding the delivery charge, per delivery address. in our temperature controlled warehouses. We can only accept orders for unmixed cases. Duty & VAT charges become payable upon withdrawing from your reserves. BBX wines can only be bought In Bond.